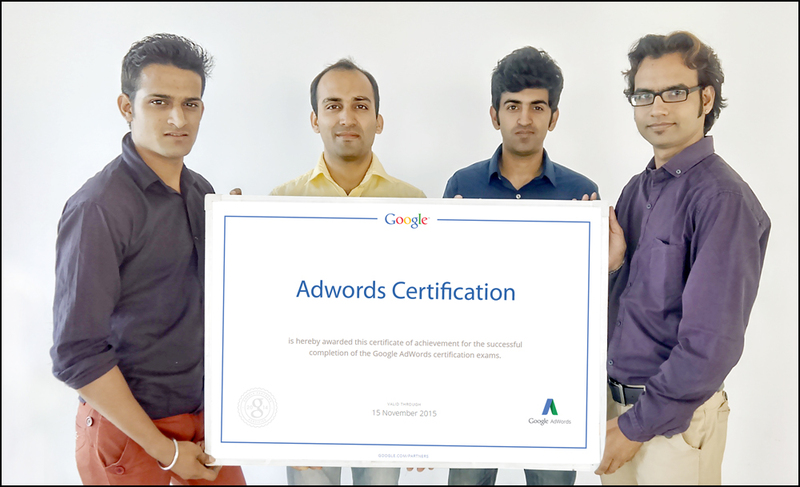 Digital marketing agency Cognus Technology doubled in size when the team upgraded their Google Adwords and Analytics Certification for "2014-2016". Amit Shrimali, Varun Vyas , Yagvendra Singh Kumpawat, and Sandeep Gaur all have yet again passed the certification exam with flying colors. This is an astounding news not only for the company but also for their clientele of SMB’s. They further commented that such accreditations play an essential role in individual & organizational growth. It is actually an achievement for all of us. Cognus Technologies is an ISO 9001:2008 certified digital marketing agency with expertise in Google AdWords &Web Analytics. This recognition from Google appraises the excellence of the professionals who can manage Pay Per Click Campaigns (Google AdWords etc) and Web Analytics successfully with their extensive knowledge of Digital Media Marketing (SEO/SEM/Social Media).